Lucy Knisley is the daughter of two gourmands, and as a result grew up around all types of delicious food. 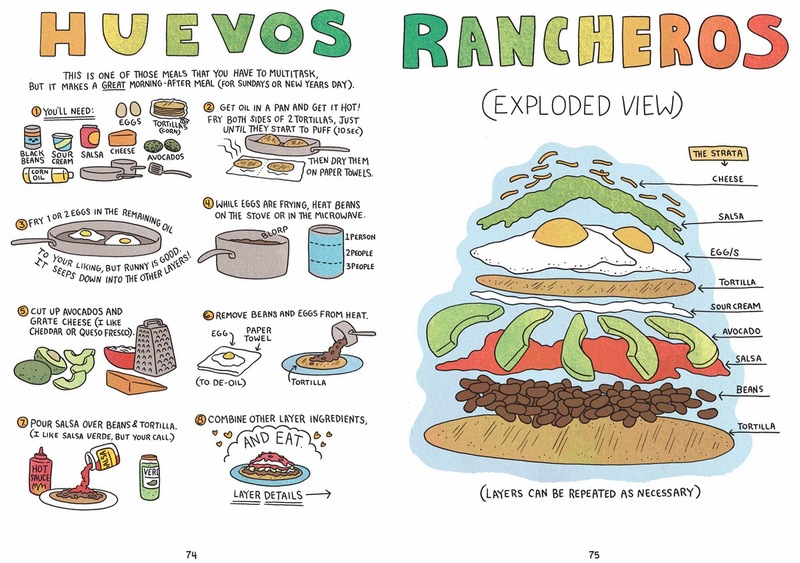 In this graphic novel, she tells her story through the foods she's tasted, whether its fresh empanadas, spinach and garlic, Japanese cuisine, her mother's farm-to-table cooking, or just plain old junk food. It took me a little bit to get into this book, as the amount of text is more than I'm used to for graphic novels, but once I hit my groove I devoured the whole thing. Pun intended. Knisley has a way of making you crave just what she is describing. During my reading, I wanted to go find a bakery or a gourmet food shop or a cheesemonger, or cook one of her many delicious-sounding recipes inserted throughout the book (I love these, and I love the illustrations included with each step. Here's one of her recipes! I definitely want to make this. This is a memoir, yes, and it's a graphic novel. But most of all, it's a love letter to food, and to dining with people you care about. If you at all enjoy the act of eating, I highly recommend this one. I'm glad this won an Alex Award, because without it I might never have picked this one up! Disclaimer: I got this book from my local library. 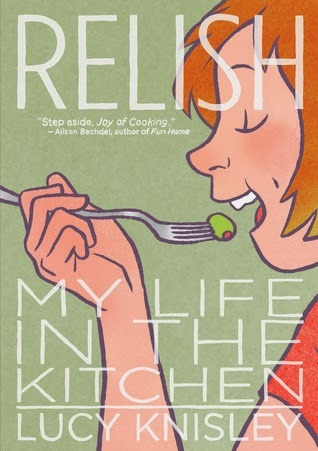 The cover of this book caught my attention right away because my daughter LOVES olives, and she's a redhead. Haha! I have never heard of this one, sounds really fun! Great review! I can't wait to read this! Except I'll probably be like you, and crave everything she's writing about. As for huevos rancheros, make sure you try them! They are delicious--one of my favorite breakfast foods. I totally agree about her making you crave what you are reading about. It's sooooo true with this book. This book looks like so much fun! I'm glad that you enjoyed it. I just recently picked this one up and am looking forward to it, even more so now! Thanks! Great review. Want to go out and buy the book! !